A new wine cellar arrives to Dispensa! 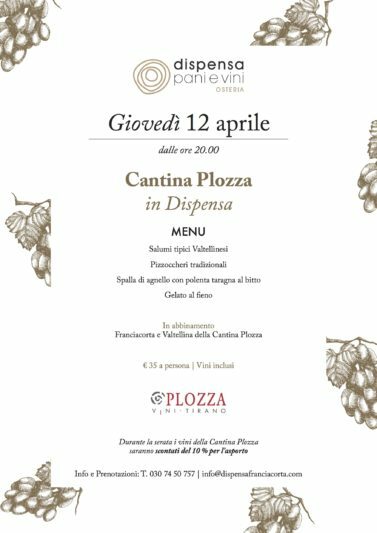 Thursday the 12nd of April from 8 pm we’ll wait for you at Osteria for an evening with Franciacorta and Valtellina flavors combined to wines Franciacorta and Valtellina of Cantina Plozza. 35€ per person included wines. During the evening wines of Cantina Plozza will be discounted of 10%.